A blog showcasing the terrific literature a teen girl and her mom read and talk about. Every so often I run across a book that surprises me in a unique way. The setting occurs in my backyard, literally, as I visit Mt. Tabor every few days, various coffee shops nearby sound amazingly like what the author writes of in his story, and many of the streets I walk, bike, and drive daily. I loved being able to visualize where the story was taking place as I read. A powerful choice by the author for certain! At least to me. Joey is in foster care, and after years of struggle, is jonesing to get out on his own. The only problem to him seems to be the system. He would prefer doing everything on his own and believes that everyone is out to stop his quest. As most YA novels go, there is some predictability in this story, meaning that there are several adults I could easily consider throttling throughout the story. Joey is a crafty lad, and he understands loss in a way that blew my mind. He is kind and curious too, and the storyline walks us through his attempts to connect with others. Adults misuse him and his friends who are foster children as well. And yet they survive. They figure out how to keep walking through. and for that, even in the midst of treacherous storylines and lives, he keeps going. 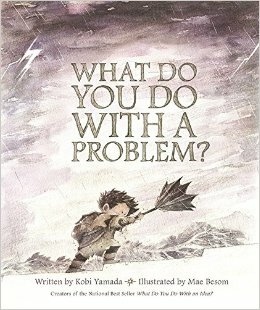 As a teacher who often looks for books to help my students and I journey further into challenges, I appreciated this book. Particularly because we always seem to come up with problems! 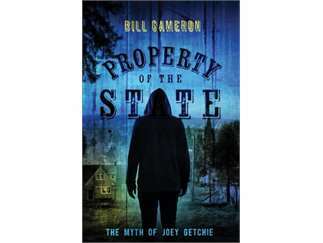 The basic premise in this lovely, tension-filled book is face the problems that are presented to you. If you try to ignore a problem, it will grow bigger. The main character realizes partway through the book that his problem has grown substantially, and he must adjust his approach. Doing so changes his life and the course of the book. 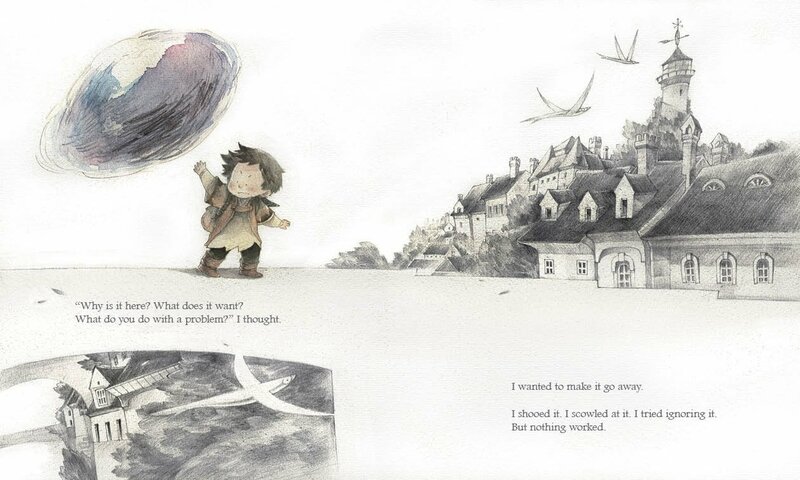 Inspirational and engaging, with really interesting illustrations, this is a book I plan to use this coming year. I am not familiar with the first book, What Do You Do With an Idea? yet. I have a feeling I will soon. One of my fave authors, Jeannie Baker, wrote Mirror and Belonging, brings such a visual, touchable technique to her picture books. I feel so drawn to her books. 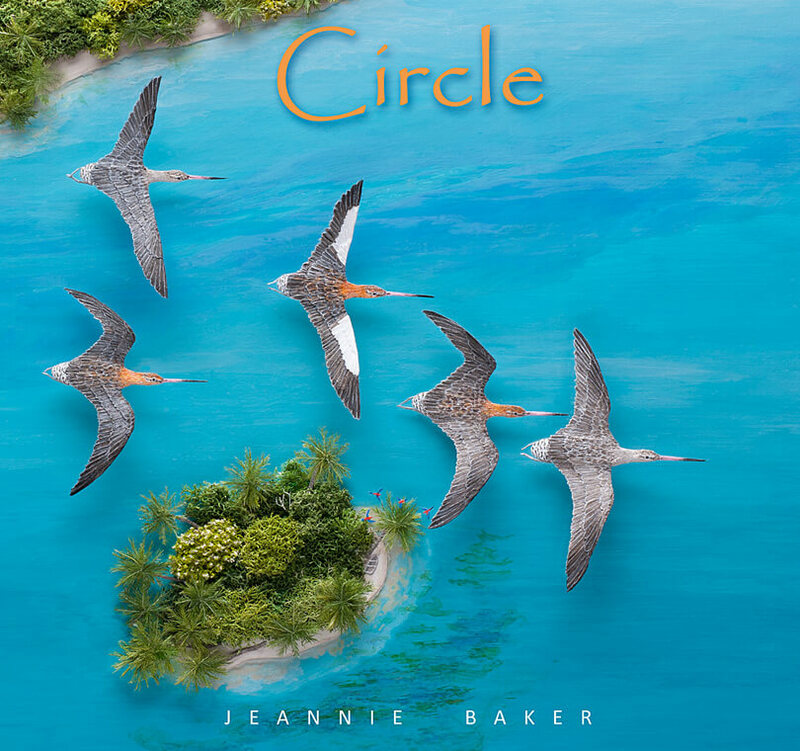 Here is the cover of Circle....it seems like I can feel the green growth on the island. Opening the cover, the storyline enveloped me. By the way, do you know what a godwit is? A young boy sits at the beach, studying and searching for birds flying around him. Lo and behold, godwits fill the sky around him. Baker takes us through their migration north, circling parts of the globe as they rediscover their seasonal home. Then she brings them back to the boy's home, a welcomed and inferential sight. Oops, no picture: guess Ms. Baker doesn't want me to add spoiler alerts to this entry. Guess you gotta get your hands on the book. It's a goodie.